KOOLTRONIC Basic Blowers are engineered for performance and built for reliability. 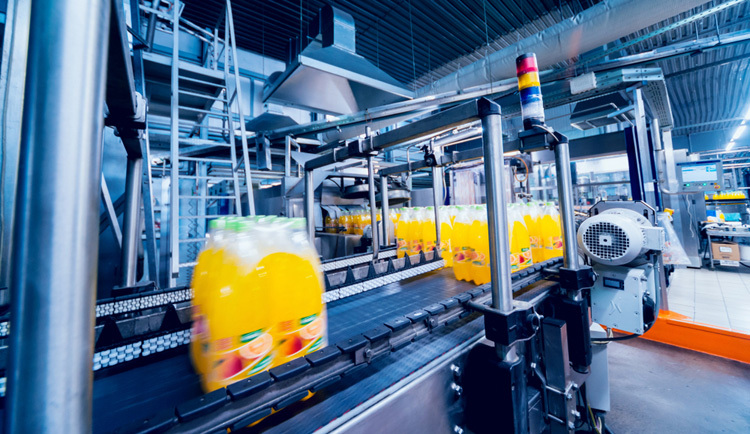 They are used in virtually every type of cooling application in the electronics industries, as well as for a multitude of other industrial, medical, telecommunications and food & beverage requirements. KOOLTRONIC Centrifugal Blowers are designed for performance against low to moderate static pressures, and are available in a variety of sizes and capacities. 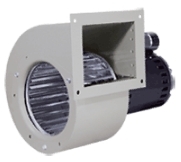 Easily installed and mountable in any orientation, these popular blowers are a low cost alternative to other enclosure cooling options. General specifications common to all KOOLTRONIC basic blowers include a custom-engineered ball-bearing motor designed for low temperature rise under zero static conditions. Added assurance of long, trouble-free operation is provided by the application of fan cooling or by drawing a small portion of the intake air directly through the motor and past the bearings. Because of this, service failures are almost nonexistent. Modifications to inlets or outlets, special mounting flanges, brackets, supports or other sheet metal changes are possible to meet the needs of your specific application. In addition, KOOLTRONIC designs and manufactures a variety of blowers to meet unique or custom specifications. If a blower will not satisfy your application’s requirements, please inquire about our other electrical enclosure and cabinet cooling product lines including air conditioners, heat exchangers and fans. Single Centrifugal - These blowers are designed for performance against low to moderate static pressures. They are available in seven sizes and capacities. Easily installed, they can be mounted in any orientation for maximum cooling efficiency. 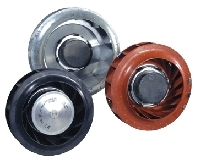 These popular blowers are a low cost alternative for a multitude of applications. They are the workhorses of electronics cooling and are widely used in other non-electronic applications. High Pressure Centrifugal -These blowers fill the performance range between Single Centrifugal Blowers and High Pressure Radial Blowers. They have been specifically engineered for applications requiring higher airflow against somewhat lower static pressures than High Pressure Radial Blowers. These high pressure blowers are available in a variety of sizes and output capacities, to satisfy many airflow/static pressure requirements. Representative performance: 120 CFM to 430 CFM at 1" static pressure; 120 CFM to 375 CFM at 2.5" static pressure. High Pressure Radial -This series of blowers was specifically designed for maximum efficiency in the movement of moderate volumes of air against substantial static pressures. Applications include cooling computer disk drives, densely-packed enclosures, forcing gas-air mixtures into small boiler combustion chambers, and in chromatography and pollution sampling equipment. These blowers are available in a choice of sizes and capacities, ranging from 40 CFM to 240 CFM at 1" static pressure and up to 150 CFM at 5" static pressure. Double Centrifugal - These blowers are designed to provide greater airflow than the related single blower series, in the same types of low to moderate static pressure applications. Eleven models comprise the series, with capacities from 155 to 1200 CFM, to satisfy a wide variety of cooling requirements. They are easy to install, and operate with equal effectiveness in any mounting position. Quadruplex Centrifugal - This series moves more air with less noise and greater efficiency than comparably sized double centrifugal blowers. With capacities from 320 to 920 CFM, these blowers are suitable wherever wide-band air movement is required, and are especially useful for applications such as cooling printed circuit cards and other components in densely packed electronics cabinets. Motorized Impellers - This series of Motorized Impellers is designed for applications with limited space, high airflow requirements and high static pressures. Constructed of either plastic or galvanized steel, these impellers have an external rotor design and ball bearing motors, and are available in 115 or 230 volt, 50/60Hz and 24 or 48 VDC. Kooltronic DC Motorized Impellers feature brushless motors that are both efficient and cost effective.